These homemade hot cross buns are so easy to make and taste much better then the ones you get at the store! 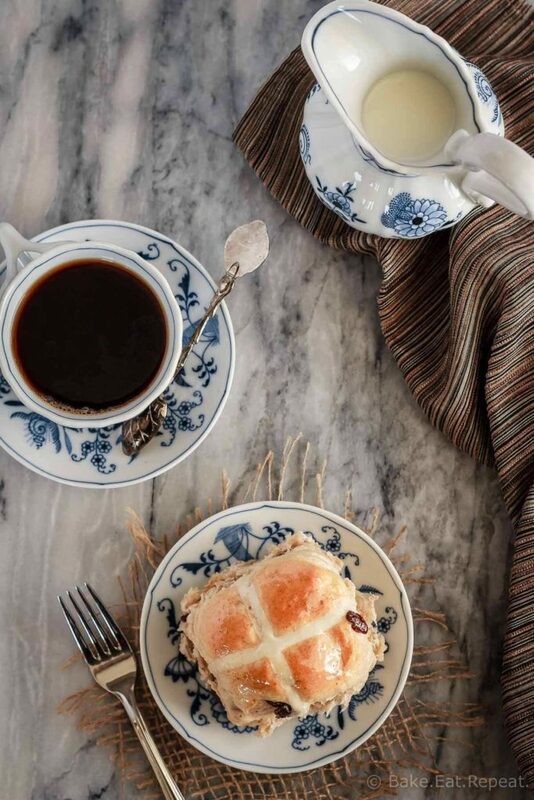 Soft and fluffy spiced buns filled with raisins and topped with a honey lemon glaze – they make the perfect treat for the Easter season! 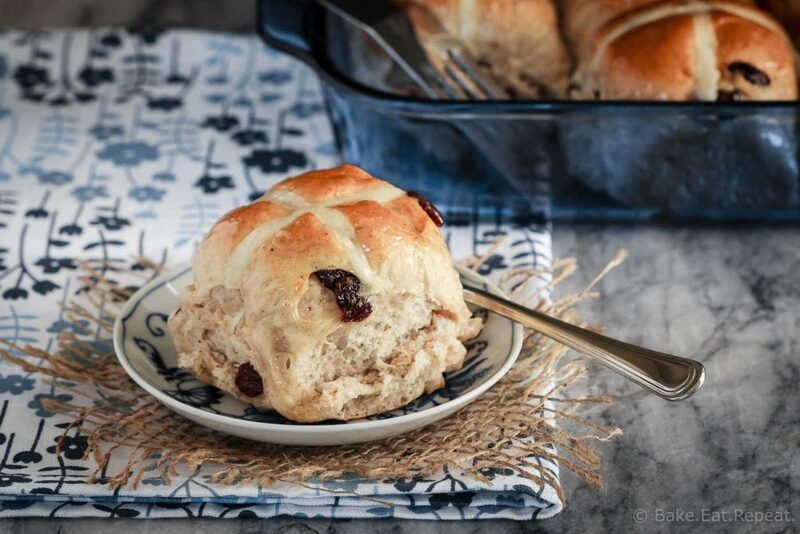 Do you know the song, “Hot Cross Buns”? It was the first little song I taught my kids on the piano. It’s likely the first little song everyone learns on the piano. So the first time I made hot cross buns at Easter, when she was about 6, she was quite confused. Because how do you make a song? It makes sense that she didn’t know they were an actual thing, as I’ve never bought them, because in my opinion hot cross buns make a great little song, but aren’t really worth eating. Until I tried this recipe. These ones are good. I don’t what it is about the hot cross buns at the store, but I always think they’re way too dry. And I’m sorry, but I cannot get on board with candied fruit in bread. That just shouldn’t happen. Needless to say – there’s no candied fruit in this recipe. I suppose you could replace the raisins with candied fruit. Just don’t tell me about it. 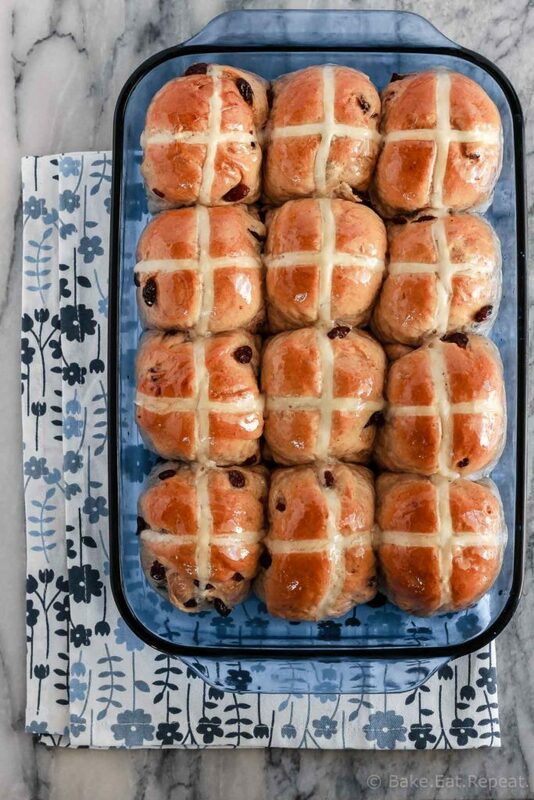 These may not even be like traditional hot cross buns. I really don’t know. But a number of years ago I made a Greek celebration bread, the braided kind with hard boiled eggs tucked in between the strands, for Easter, and my mom said that it reminded her of hot cross buns. So, since that bread was tasty, I figured I could make a variation of it into hot cross buns that I would actually eat. Maybe not traditional, but they’re light and fluffy, filled with spices and raisins, and have a sweet honey lemon glaze on top. If you want to prep them ahead, you can make them up to the point where you shape them into buns, then let them rise until they’re almost doubled (30-45 minutes), and place them in the fridge overnight. The next day take them out of the fridge to warm up and finish rising, about 90 minutes before you’re ready to bake them. 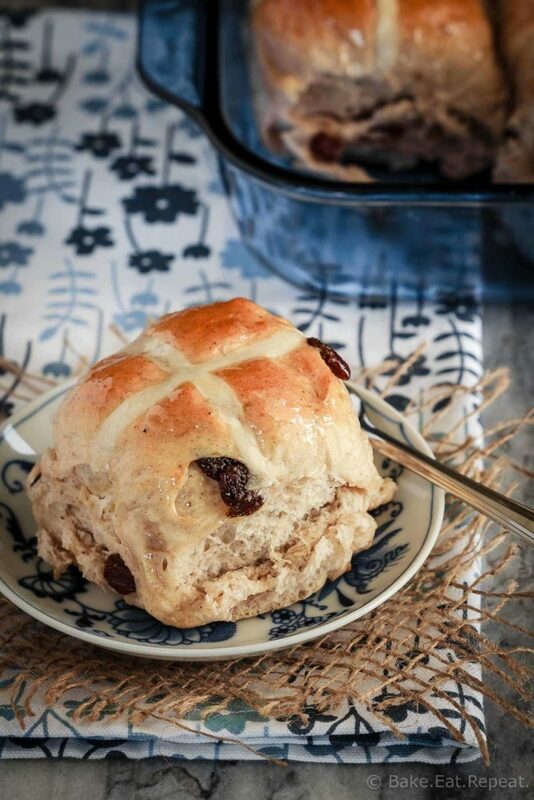 I’ve also shared this Hot Cross Buns recipe over on Food Fanatic.